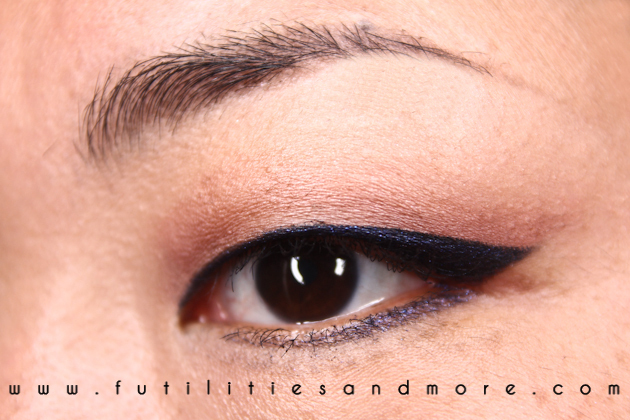 Today's featured product is a gel eyeliner that I was "forced" to buy thanks to my March Myglam bag. The concept is quite nice but the products I received last month and the month before were zero! So like I said, this month I received vouchers but of course, advertising is highly touted and it forces you to buy a minimum amount of $ 50 to qualify. As my bag was not great, I was committed to buying products that I did not need ... I know it's not smart ... but hey that's life! 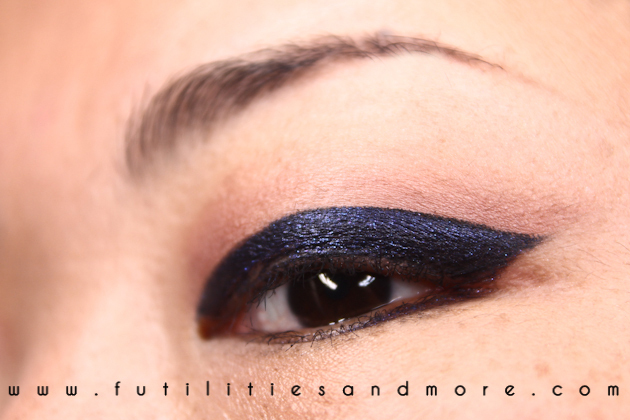 So, this is one of my purchase, a deep navy glittery eyeliner. I absolutely love the packaging, the box only, it looks rich and chic. I said only the box because the container is a cheap plastic-y jar, which is not the best presentation ever. The gel eyeliner will probably dry faster than in a glass container. 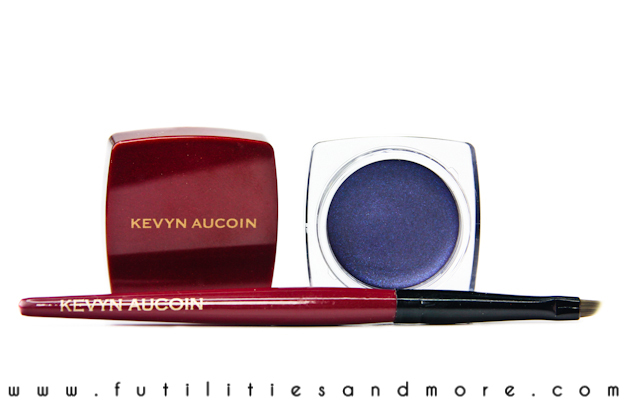 The set comes with a very precise eyeliner brush. For me it is a little bit small as I always have to apply a generous amount of product on my hidden eyelid area but for most of you, people with a double eyelid, it will be perfect. 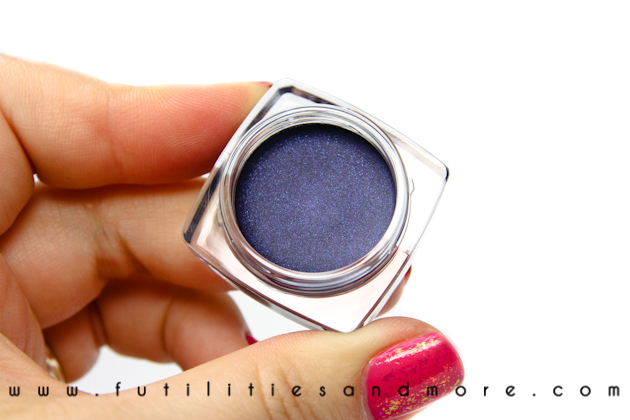 The color is so pretty, a nice and elegant shimmery, navy blue color. 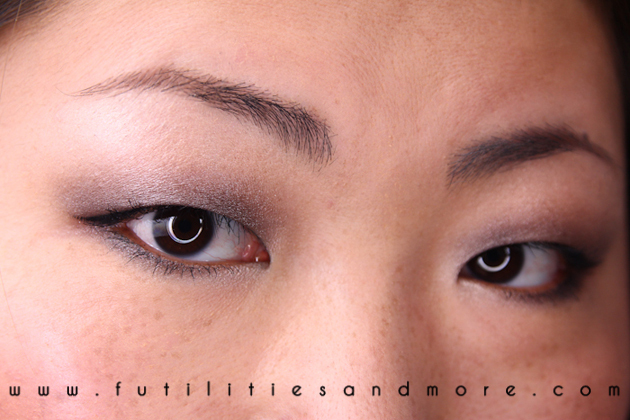 Subtle and it gives you a nice pop or color. 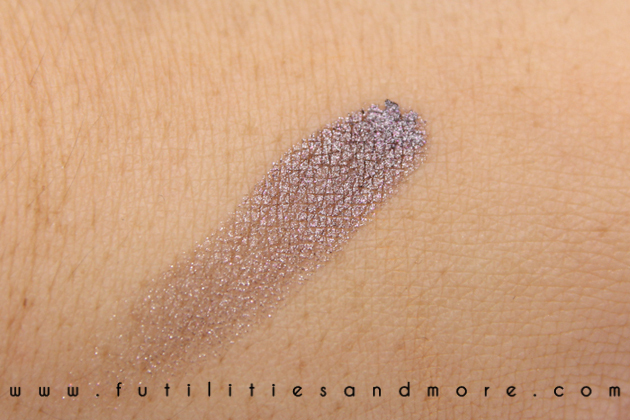 The product is nicely pigmented and the reflection, gorgeous! But the pretty blue hue fades away and becomes black after few hours. Nooooo! I loved this color so much! 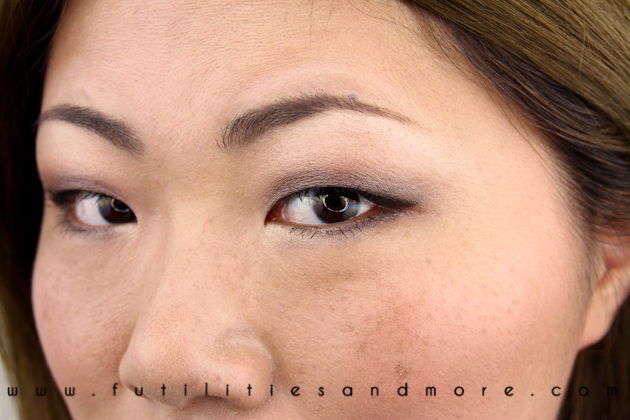 It looks gorgeous just after the application and it is supposed to be a long wearing, no smudging, no creasing product BUT it is not true, this is "creaseland" after few hours , it does smudge and budge, the nice blue hue fades away and become more like a black shade and you have to check constantly to avoid any ugly raccoon effect! 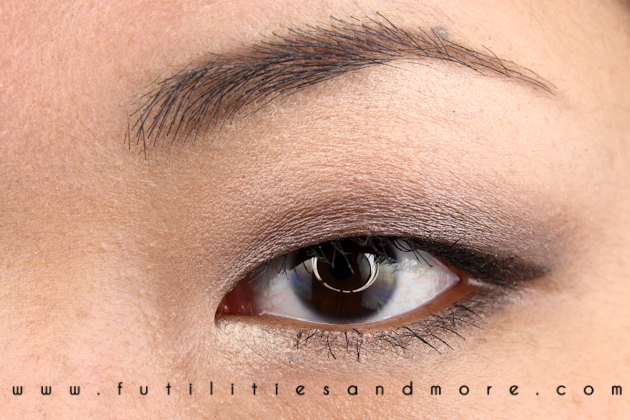 I think this product is pretty but not adapted to monolids. 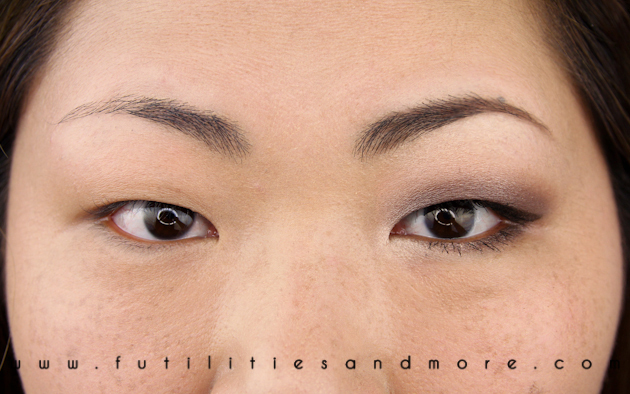 It is certainly better for occidental or double eyelids types and also for non oily skin type...huge let down for me! I wanted to try something new and more colorful than my regular black, brown and plum gel eyeliners, but this one has not met my expectations. Another disappointment, it was super expensive for a gel eyeliner: $27 but fortunately I was able to purchase other interesting but not really affordable items (again) in this Dermstore haul, in particular a nail polish from Butter London (over-priced to my mind) and a mini eyelash curler... This online store is full of good things but if you are on a budget, forget it! Conclusion: Thank God I cancelled my Myglam subscription! So bad! 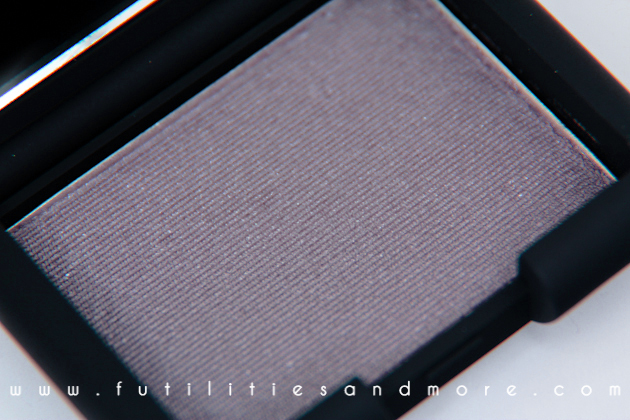 Nars Lhasa is a lavender grey shade, perfect for so many occasions! 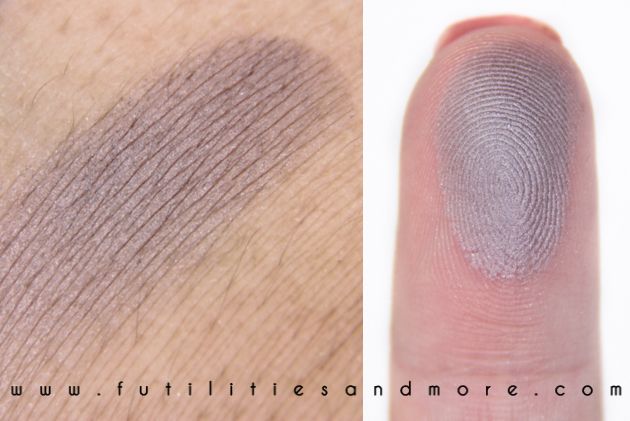 Oh yes, I love taupe and purple shades especially for eyeshadows because it is so easy to wear , versatile and particularly sophisticate and chic! 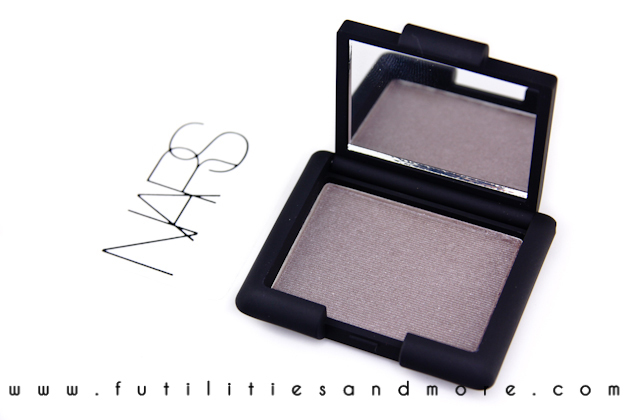 Do I need to say more about my thoughts about Nars eyeshadows? If you already follow me, you probably know that I love them. 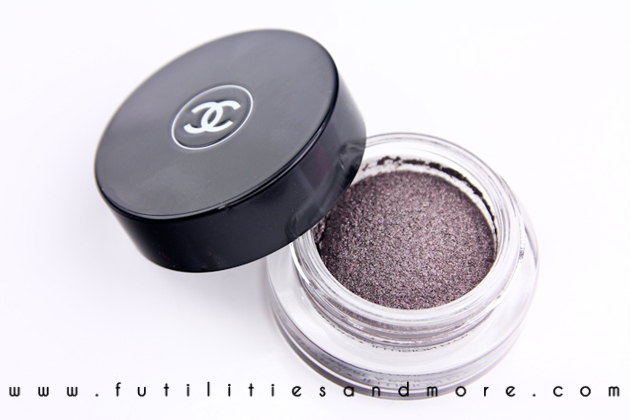 They are pigmented, creamy and the range of colors is amazing and most of them are wearable. Lhasa is a limited edition released few weeks ago. This is such a pretty color and I really recommend you to purchase it before it disappear forever! It is highly pigmented, a pretty velvety-shimmery finish and made with ultra-fine powders for shading, creating depth and lining eyes. 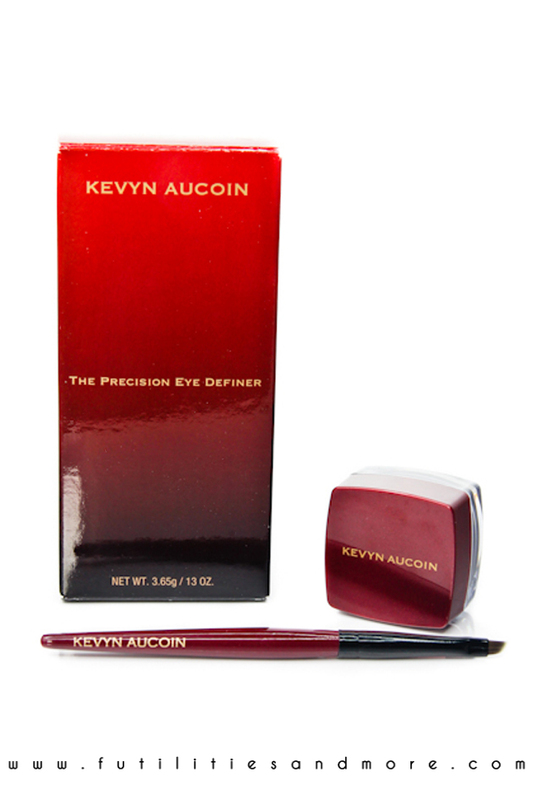 This eyeshadow glide on smoothly and evenly and blend effortlessly and it is also build-able. 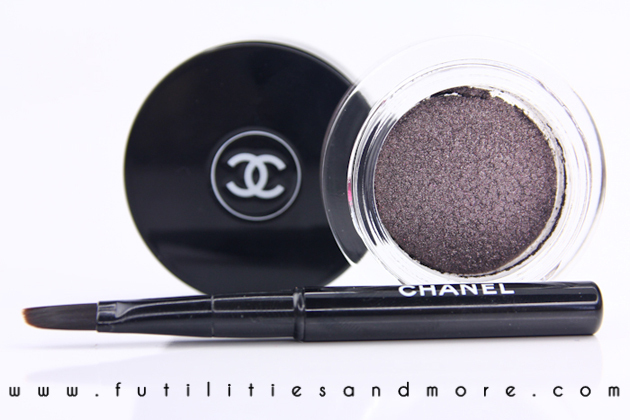 Today's featured product is from Chanel and one of the most beautiful shade of my eyeshadow collection. 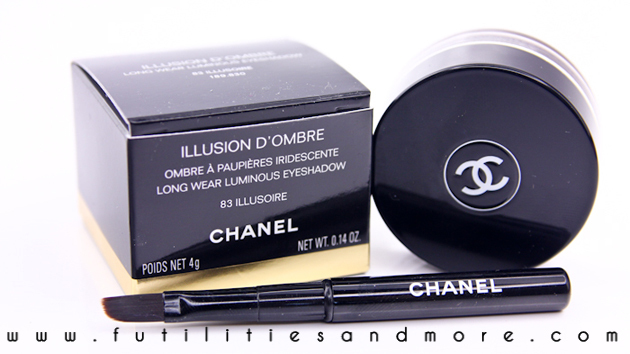 I already have "Mirifique" from the Chanel's Illusion d'Ombre collection (click to read the full blog entry) and I love them both! 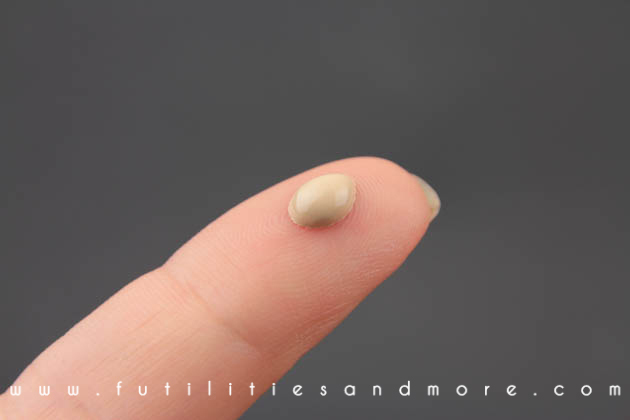 The consistency is unique, a mix between a cream eyeshadow and a mousse. 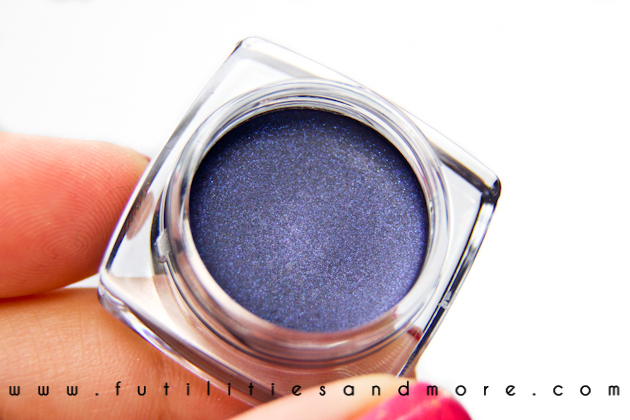 This is one of the creamiest eyeshadow that I know and it has everything I like: the pigmentation is good, the shade is classic but with a twist. 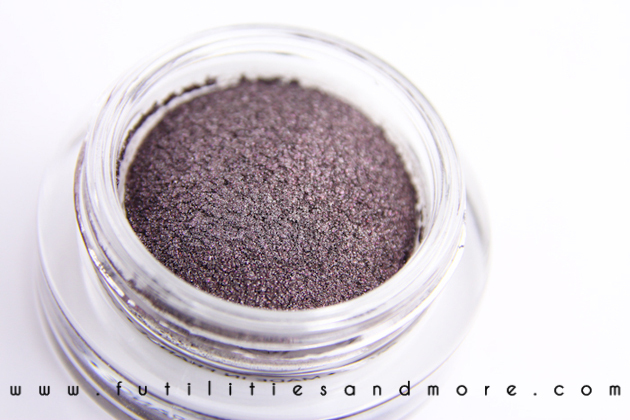 It is a silver purple color with some shimmers. 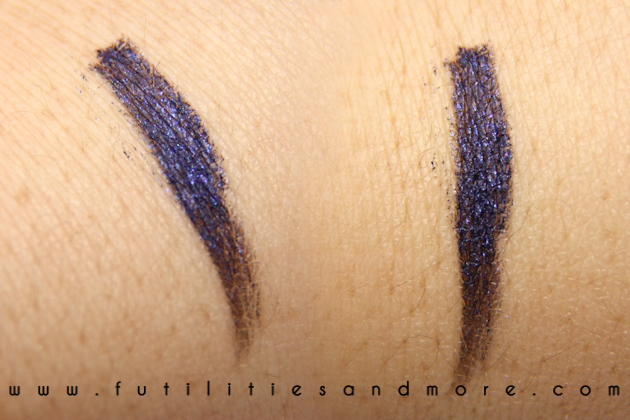 It is also build-able, and versatile, pretty worn as an eyeshadow or an eyeliner. The best way to apply the product as an eyeshadow onto your eyelid is a good blending brush and if you prefer to use it as an eyeliner, the mini brush which comes with it is better. This brush is hard and perfect for that. The shade is the kind of color I love, a nice silver/taupe/purple mix. So pretty and chic! 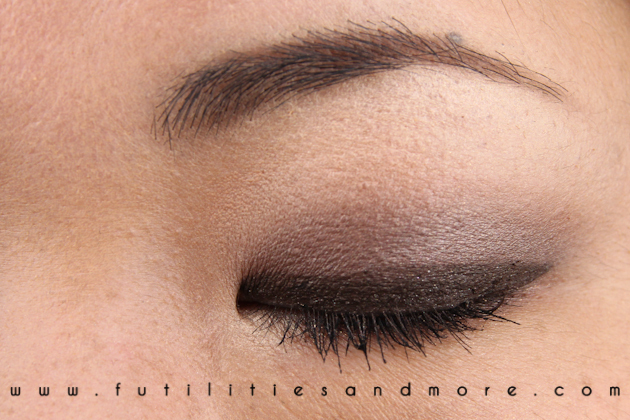 The product is creamy and so easy to blend, LOVE it! I only used "Illusoire" for this look, a black eyeliner and some mascara. The application is so simple: a swipe onto the monolid with my Sigma blending brush which is my fave and the mini Chanel brush on the lower lash line. 2 mins and that's it! 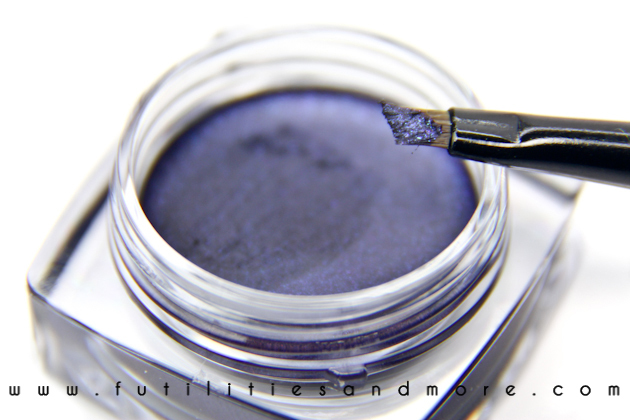 + Quality: easy to blend and super pigmented. + All the shades of this collection are neutral colors but with a twist. Some have more shimmers/glitters than others. + It is so chic! + Love the elegant packaging and the brush is perfect for this formulation. 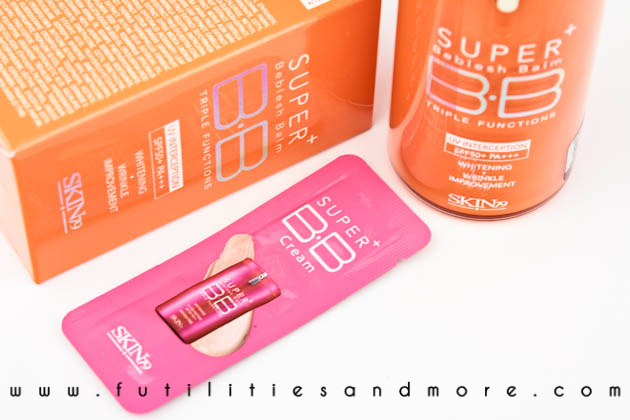 Hi guys, today's makeup tutorial is focused essentially on the new Skin79 Super Plus Triple Functions BB Vital Cream (click to read the full review) and a five minute makeup, the kind of go-to look that you can do in a hurry before go the school or work. 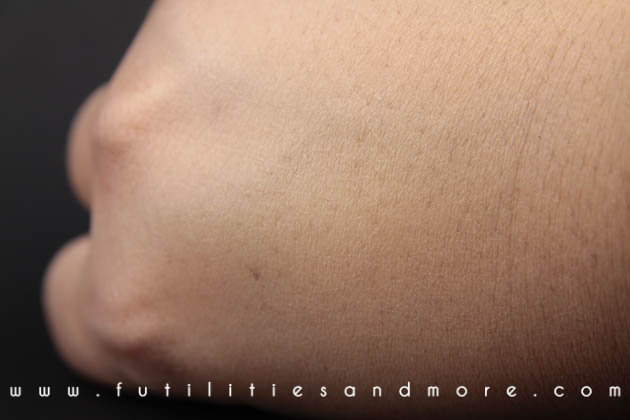 It gives you a nice polished look for works and it is also appropriate for younger girls because it is not too much. I only used few basic products, a brown eyeliner, a matte eyeshadow to create more definition and depth to my monolid and of course some highlights, a neutral pink lipstick and to finish, I used my new BB cream, some matte bronzer and a pink blush. All those little things which are very helpful to have a better looking but always in a natural and effortless way! Click here http://www.sigmabeauty.com/?Click=135885 and use code MARCH2012 to get 10% off your order through March. 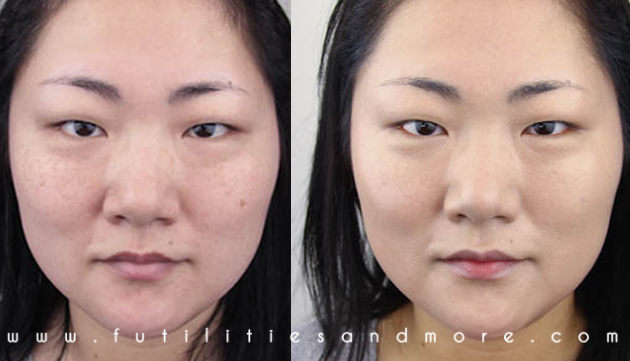 FYI: No retouching at all the see the full benefits of the BB cream! 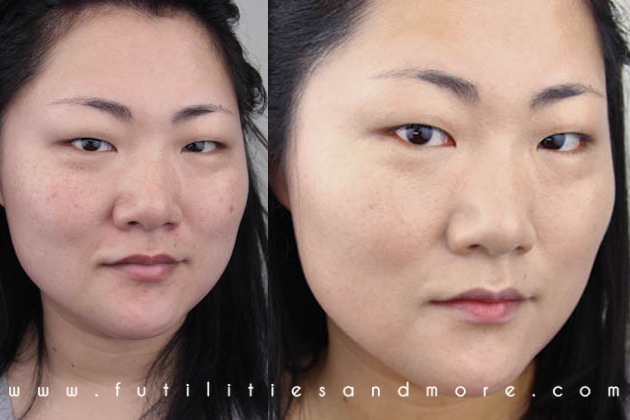 You can see a real difference before and after! The complexion is more even and more define at the same time. 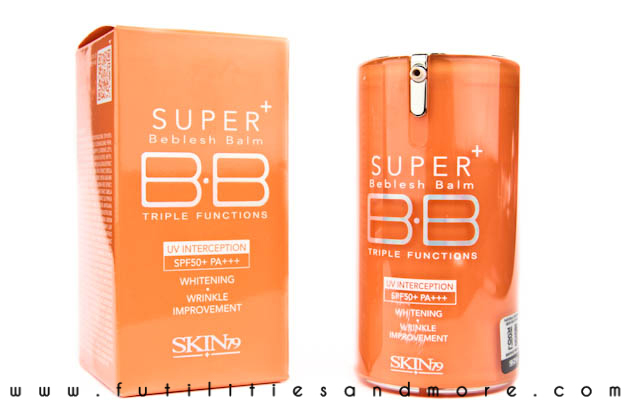 I love the finish this BB cream gives me even if I find it too light for my light skin tone. I also like the glow that I have thanks to my blush that I LOVE! 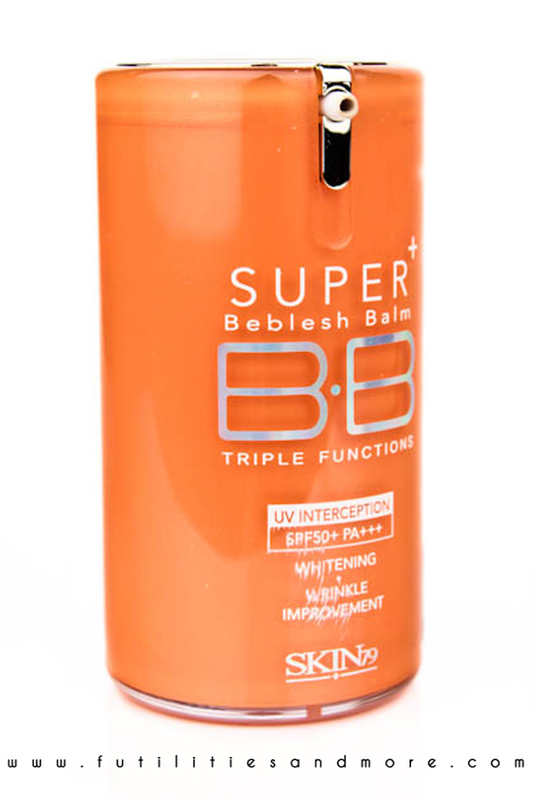 - UVA and UVB protection SPF50 sunscreen. 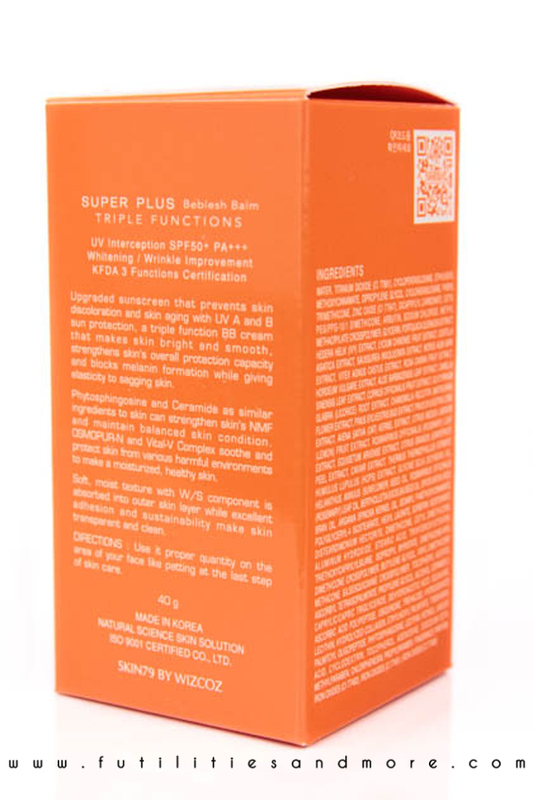 - Vital-V complex: Vitamin A, C, E,F to maintain your skin healthy, firm and souple. - Arbutin for whitening your skin. - Adenosin to help diminishing your wrinkles. -Chamomile to soothing and moisturized. - Osmopur-N, sunflower, rosemary, to protect skin from various harmful environments to make a moisturized skin. - Made with plants that keep the skin moisturized and control the sebum. - It has a matte finish, and it is light weight. -It is made for oily skin with lot of sebum, skin with brown spots or blemishes, with large pores, with no elasticity, dry areas with wrinkles. I bought my BB cream at Prettyandcute.com and it came with a little sample of the hot pink best selling Skin79 that I wanted to try for ever! As my previous purchase of Skin79 products (L'Oriental Gold), I love the packaging, this flashy color is fresh and cute and the bottle itself is sleek and chic. Quite disappointed because it came with a small ink malfunction, but that's ok. because the product inside is in perfect condition. 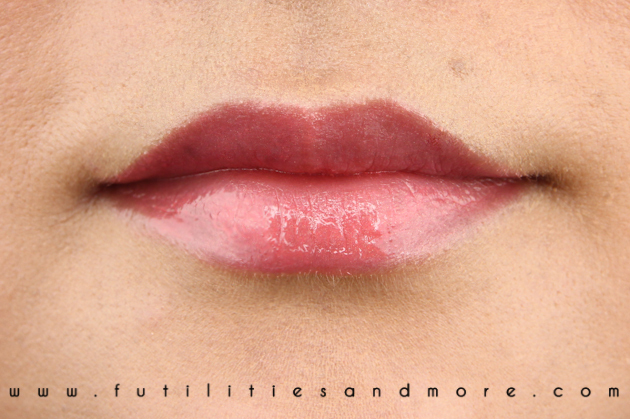 The consistency is pretty thick, and the shade is lighter than my skin, why so light?! 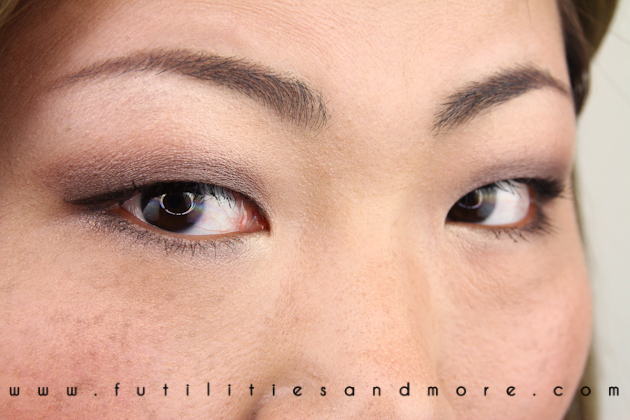 The small drop does a lot because the product is smooth and easy to blend. 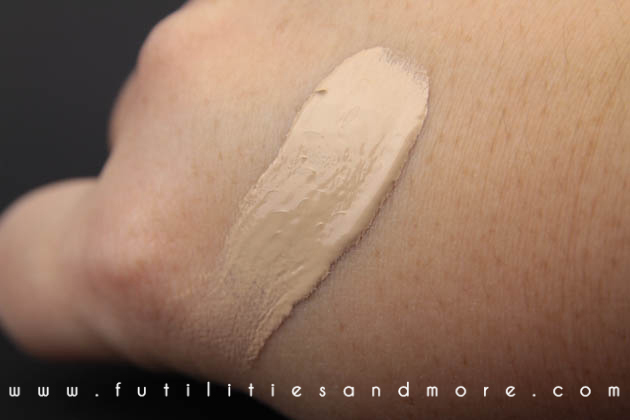 It has a grey undertone and the shade is made for very light skin. I find my skin very light even after few hours, it doesn't oxidate very nicely, so what I like to do, is to put a matte bronzer to avoid the zombie look. But I like the satin finish (not really matte I think) and it really makes my skin flawless and the fresh scent is pleasant, floral and sweet, quite similar to the Oriental Gold BB cream. 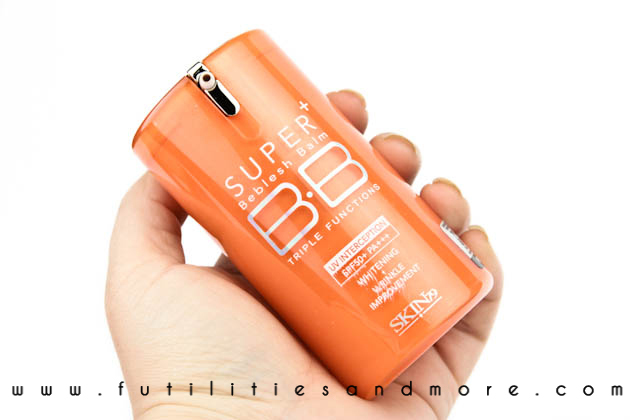 Contrary to the description on the website, this BB cream is not so lightweight. 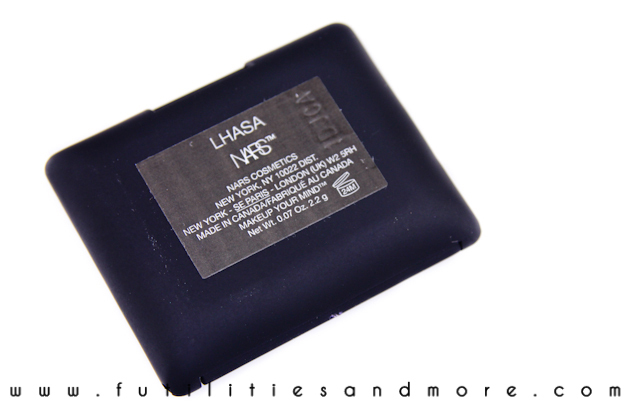 It it lighter than Lioele Triple The Solution (click to read the full entry), but for me, still heavier than a regular foundation. 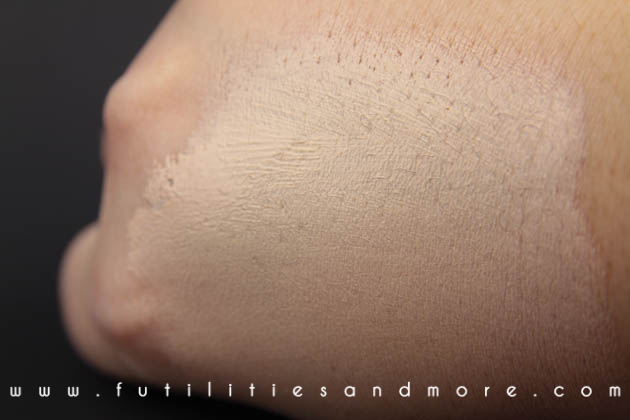 But the texture is easy to work especially when you use a round top kabuki foundation brush because with your fingers, it takes forever, so the texture is creamy. 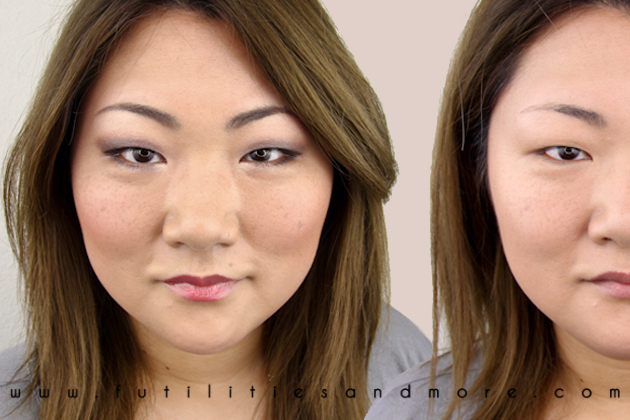 I will make a video of the application to show you how I apply the product, so that it will be easier to understand. You can definitely feel it but the finish is beautiful and the moisturization really nice. I applied two layers of Super plus Triple Functions and I also add a setting powder on top because I find the BB cream a little bit sticky. Here are some tests. As you can see, the coverage is pretty good, I would say that is medium to full and on those pictures. This is also a good concealer, especially on my dark freckles but I don't recommend to use it around the nose area because it creases a lot! The first time I used it, I ended up with two horrible light beige creases. To finish, I think the oil control is medium. I don't think this is the best product for that, but it is ok. 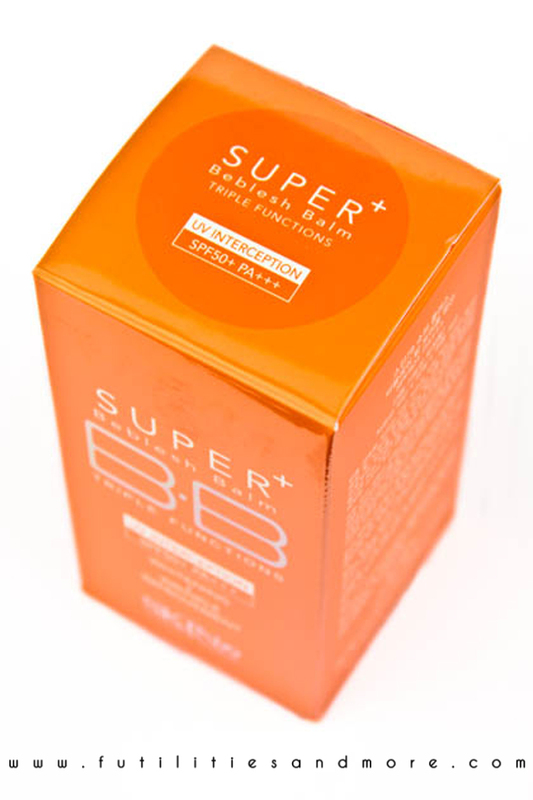 It makes my skin lighter and the finish is flawless. Not sure I like to be this light but that's ok with some bronzer and rosy tint. today's look is specially made for Valentine's day, but it also works for so many occasion because everyday should be like Valentine's day, don't you think? 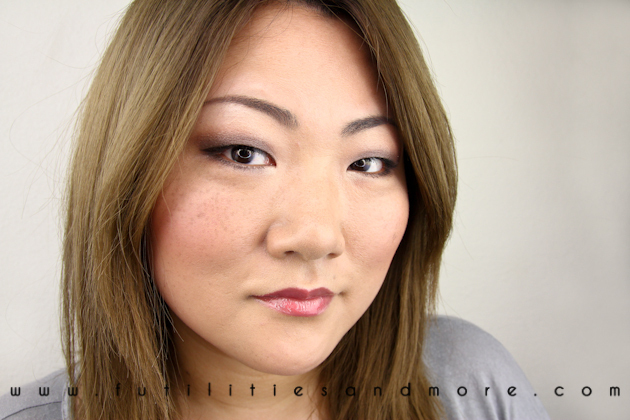 This is a flirty, sultry, fresh look that I did, avoiding to use too much pink! I am not a big fan of the total pink look for this special day because this is, to my mind, so obvious! And seriously, I am not sure that our Man fancy bright pink eyeshadows...few touches are so much more subtle and chic! 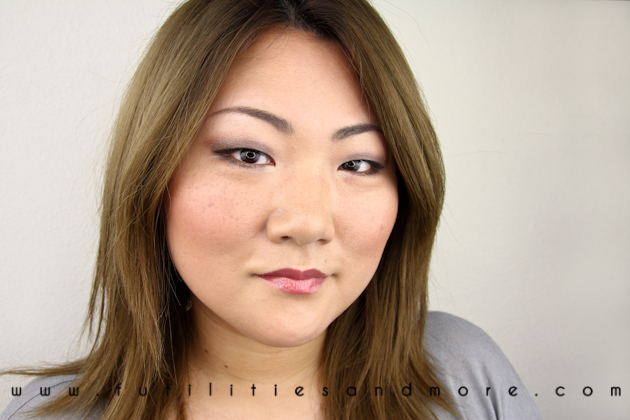 I particularly love the combination between the light smokey brown eyes and the pink lips. This is my go to look these days because is so easy to achieve and very feminin. I didn't apply false lashes but of course, for Valentine's day, you have to!! It gives immediately such a pretty look. 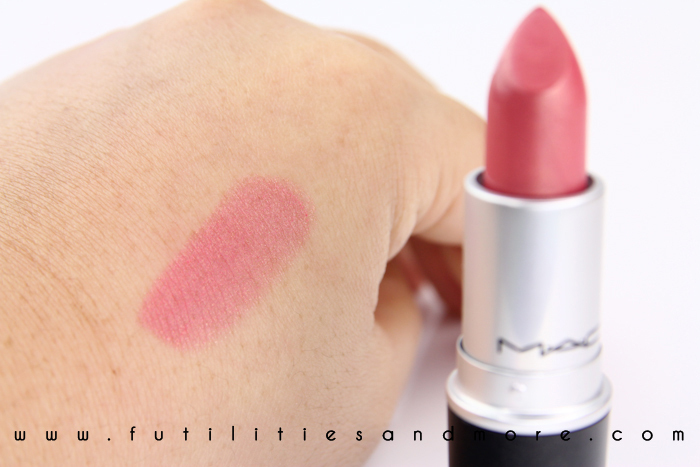 One of my favorite combo of the moment: Mac lipstick Bombshell /// Mac lipgloss Tour de fabulous. 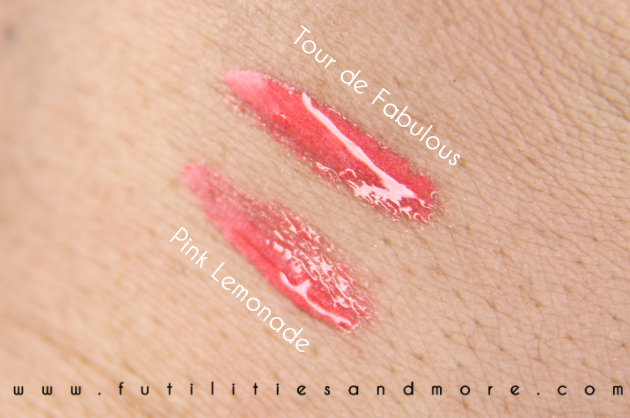 For your information, Tour de Fabulous is a limited edition, but Mac has the perfect match for this color, Mac Pink lemonade. This is exactly the same color. 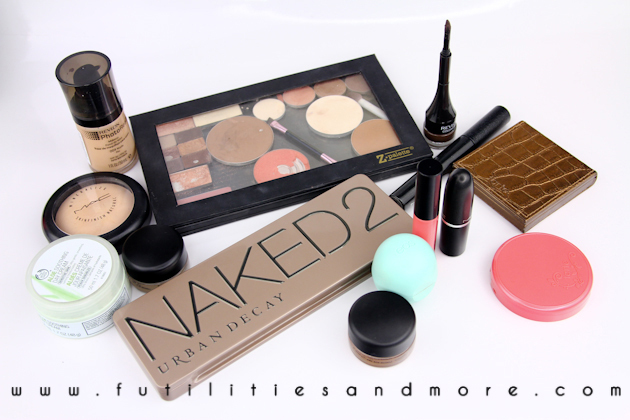 Here, the picture of all the products I used for this look. I will make a review, soon, of the foundation that I really like. 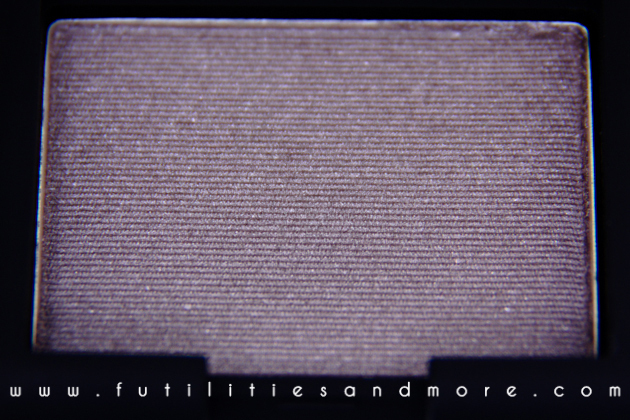 It is very smooth and gives me a flawless finish.